Press Release. 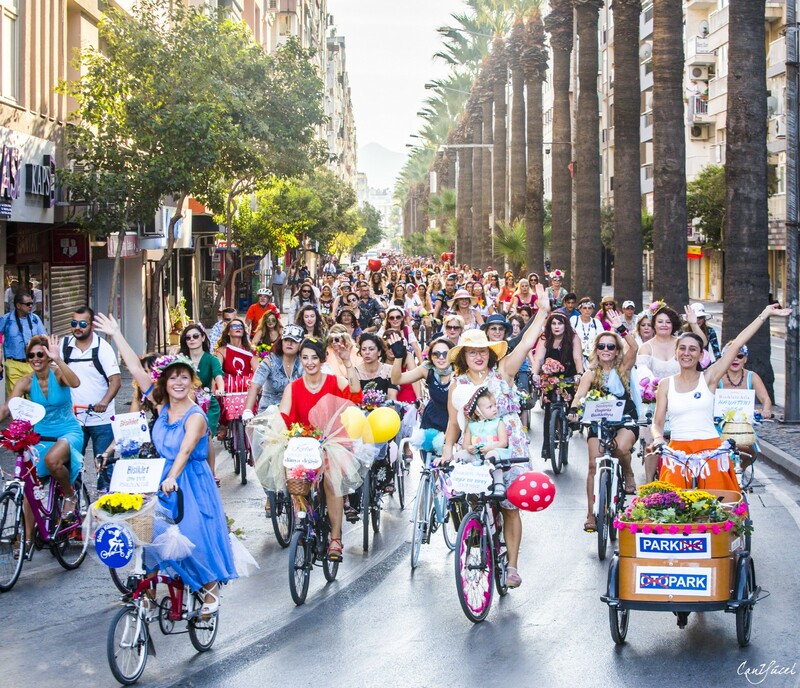 On September 23rd, Izmir, Istanbul, Milan, Bern, Cologne, Nicosia and many other cities will stage the most colorful, fantastic and empowering women’s parade in the world: the Fancy Women Bike Ride. 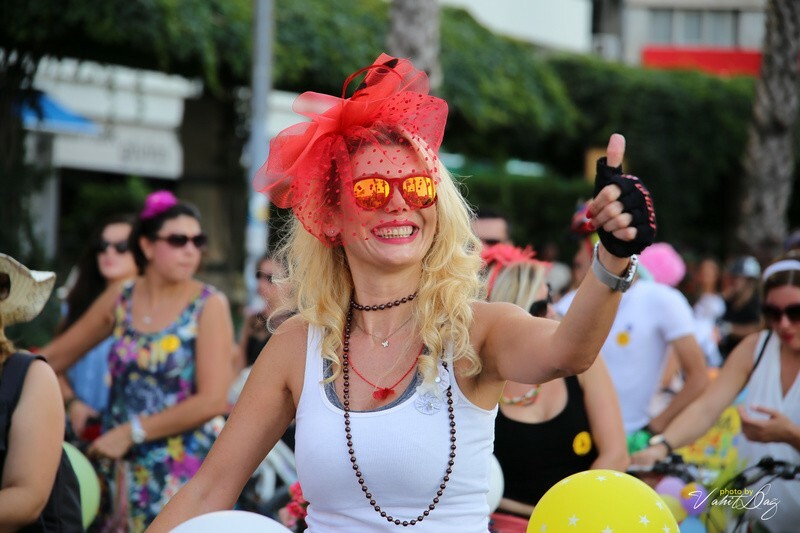 “The fancy women bike ride is a call to all those women who just want to be visible on the streets, in the city, in the society.” says Pinar Pinzuti, the international coordinator of the Fancy Women Bike Ride. What started with a small bike ride among friends, evolved into a big movement. The Fancy Women Bike Ride provides the occasion to give more visibility to women in the society and to ask for cycle safe cities. The Fancy Women Bike Ride came to life in 2013 thanks to Sema Gür, who hoped to challenge the male-dominated world of cycling in Turkey. Sema, a teacher living in Izmir, created a Facebook event and invited her friends to come together for a bike ride one Sunday afternoon. It was not a coincidence that it was on the same day as the World Car Free Day, during the EU’s “Mobility Week”. 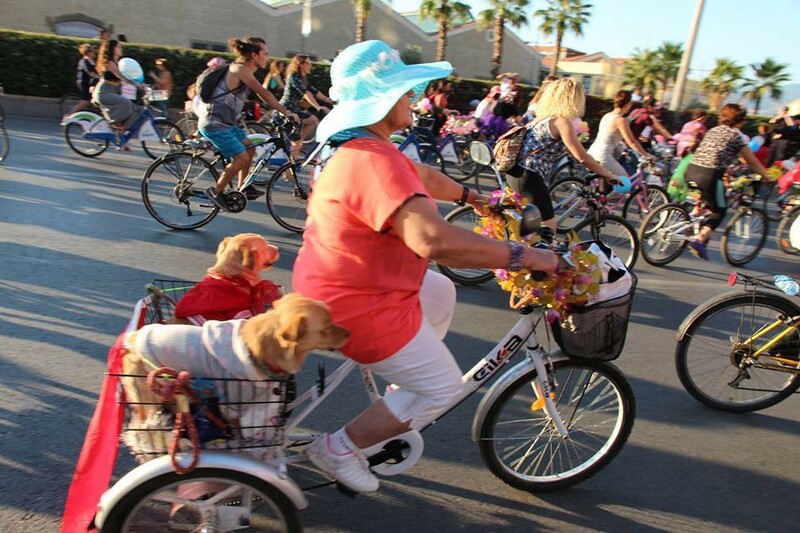 Since then the “Fancy Women Bike Ride” takes place every year in late September. In the following year of the first edition the Fancy Women Bike Ride already expanded in more than ten cities. Volunteers organized women bike rides at the same day and same time. 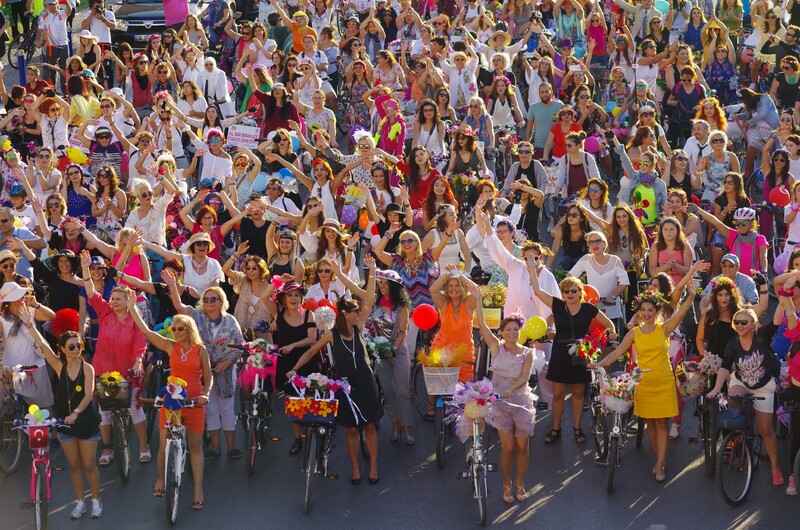 In 2017, Fancy Women Bike Ride has taken place for the 5th time in a row and more than 30.000 women joined the event in 50 cities in all over Turkey. “The women’s bike ride is successful because the event welcomes everyone, the message is clear and it is organized by brave and independent women.” says Pinar Pinzuti. The event is organized by women who are eager to promote cycling to their peers. Hand-in-hand with the organization of the ride they also ask local authorities to increase safety on roads, create urban cycling infrastructure and plan bike-friendly services. Although the event itself is once a year, the women’s peer-to-peer initiatives last all year around. Women organize cycling courses in their communities, group rides for the weekends, cycling events for families with small children.